Everything DiSC® Management teaches managers how to bring out the best in each employee. Participants learn how to read the styles of the people they manage. The result is managers who adapt their styles to manage more effectively. 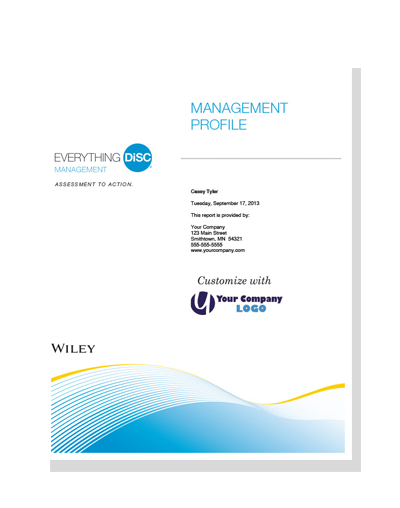 Everything DiSC® Management is a registered trademark of Wiley.